Since some sub-appellations have one predominant soil type and others have two or three different types, there is not a direct correlation between specific soil types and the six sub-appellations of the Willamette Valley. 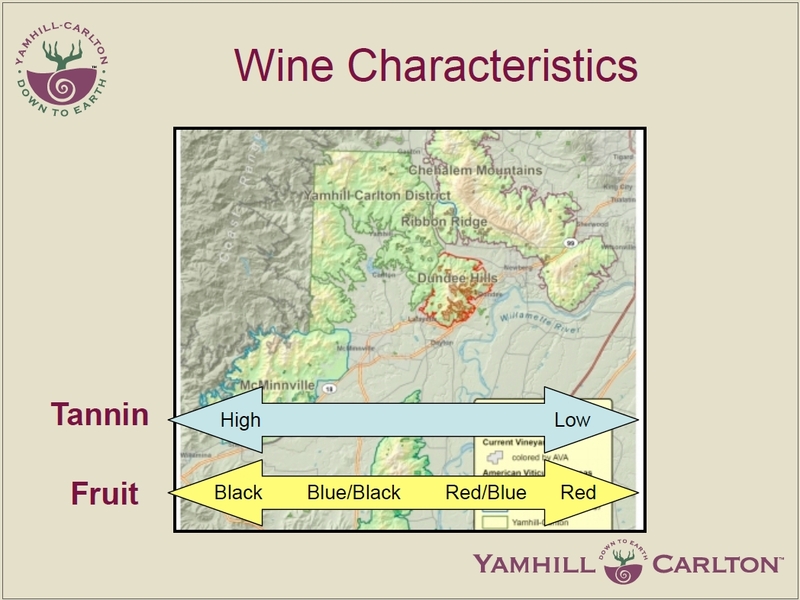 Geographic and climatic factors are as important as soil type in defining the unique characteristics of each appellation. Each of the sub-appellations’ Pinot Noirs exhibit a flavor profile which is related to soil type, geography and climate as well as viticulture and the winemaker’s hand. The multiplicity of variables make strict and dogmatic flavor profile definitions of each sub-appellation impractical, but generalizations can be highly useful in characterizing the wines from each sub-appellation.